Any investors who think the markets have calmed down should think again. It is far more likely that we are in the eye of the storm. Not a single issue has been resolved. Scotland (remain), Northern Ireland (remain), Conservative Party Leader, the Labour Party in general, Article 50, a muted second referendum, free trade within the EU, immigration etc. All this at time when the EU economy is weak, the UK economy is far from strong and the central banks have little left in the locker apart from the occasional calming influence of Mark Carney amp; Mario Draghi. To add to this, Nigel Farage has been petulantly kicking a potential hornet's nest and right wing parties across Europe feel inspired. (For the avoidance of doubt, Europe hasn't suddenly turned to the far right but right wing parties are successfully capturing 'the protest vote'). I will be surprised if the markets remain calm for more than a day or two. We can expect more big and quick swings in the FTSE 100, German DAX 30, EUR/GBP and GBP/USD. These movements won't be off the Richter scale like the moves of last week but there will be plenty of them. For the brave, and those with deep pockets, these swings present trading opportunities. Of course, trading these swings is easier said than done. It is easy to be caught on the wrong side of a swing. Ordinarily, with volatile conditions it is worth considering small trade sizes because it's easier to withstand a big move (and less painful when it goes wrong, as it often does). With the markets as they currently are, i.e. highly unpredictable, it is worth considering smaller-than-usual trade sizes but for a slightly different reason. Small trades do require more patience. However, psychologically, it's easier to accept that a trade is going against you if you are only making a small loss. Therefore, it is easier to make the right decision and discard that small losing trade. 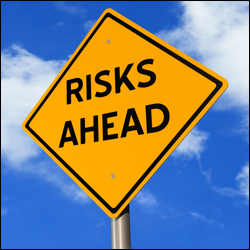 When volatile conditions resume, it will be more difficult than usual to pick the right trades. Investors may have to accept more losing trades than usual. That said, the upside of the winning trades, can be greater than usual. (Of course, as always with trading, writing the theory is far easier than putting it into practice).